Just because you have a good job with health benefits doesn't mean your healthcare costs aren't going up. In its Workplace Benefits Report Healthcare Supplement, Bank of America Merrill Lynch says employees are paying higher deductibles and more out-of-pocket costs that could affect their other long-term financial goals. Seventy-nine percent of employees said they saw their healthcare costs go up last year. That's up from 69% who reported higher costs in 2016. The findings are in line with a Kaiser Family Foundation report published last year, which found the cost of the average employer-sponsored healthcare plan rose 3% in 2015, with employee contributions rising to $5,277. "I think employers are now recognizing that their employees need help," Bob Kaiser, a senior vice president at Bank of America Merrill Lynch, told ConsumerAffairs. "There's stress on the job. There seems to always be confusion over the amount of benefits that are offered -- which ones do I use, how do I use them?" Employees in the survey expressed some uncertainty over what steps they should be taking when it came to their healthcare benefits. Kaiser says focusing on the future and ensuring that you're using all of your benefits is a good place to start. He points out that one way employees can achieve both goals is by opening a health savings account (HSA). "If you put money in an HSA account, it is just as good as your 401 (k) money if you don't use it for medical," he said. "When you turn 65 and haven't used your HSA money, you can take it out for whatever purpose, just like a 401(k). You can take it out and treat it as ordinary income." Opening an HSA can be a solid financial investment, since the money is tax deductible when it goes in. If you need it to pay a medical expense, there is no tax when it comes out. But if you are 65 or older, you can withdraw the money for non-medical reasons. You'll have to pay taxes on the withdrawal, just like you would with a 401(k), but there are no minimum distributions you have to take, like with a retirement account. Kaiser says he thinks employees are under-using HSAs because they don't really know much about them. It's up to employers, he says, to educate employees about all the tools they can use. 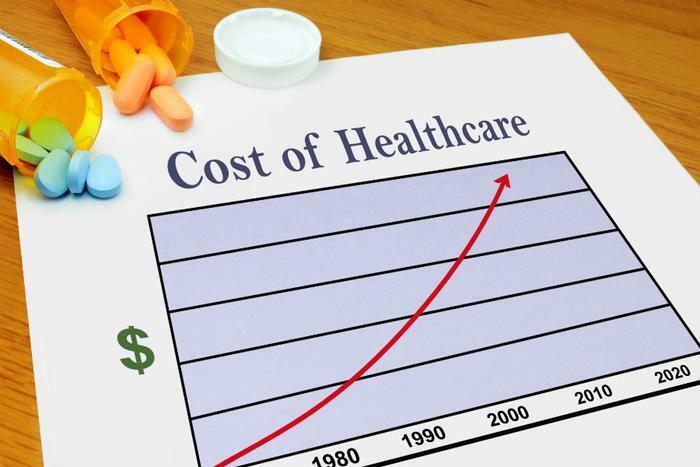 The survey suggests rising healthcare costs are putting a strain on long-term financial goals. Researchers found 56% of workers with rising healthcare costs reported spending less or contributing less to their financial goals. They were less likely to put money away for retirement or pay down debt. Bank of America Merrill Lynch offers a suite of online tools for managing HSAs and health benefits, geared to both employees and employers.